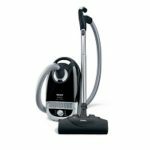 Best Vacuum For – Reviews and Comparisons – Efficient Household Cleaning! Our primary goal is to help you find the best vacuum cleaner for … simply fill in the blank with your requirements. There are a lot of different brands and types of vacuums to choose from today. While it is great having such a big selection of capable machines, the many choices can make it difficult to find the right one. No matter what your cleaning needs are we will do everything we can to point you in the right direction. Before you start comparing different brands and models you will want to put some thought into how you will be using the cleaner on a regular basis. However, If you already have a good idea about what you need then feel free to browse through our ‘top recommendations’ categories for our choices based on a variety of criteria including cleaning ability, accessories, price, and overall value. Are they mainly hard flooring like tile, hard wood, linoleum, or laminate? If so, will you be using the vacuum on these floors? If you have carpets, are they higher pile and lush feeling or lower pile like a berber? Thnking about the answers to these questions and the ones below will start to guide you towards the category and brands that can provide the most value for your money. It can be a pretty big expense in the household budget so you want to do at least a little research before you buy one. When looking for a machine with full house cleaning abilities there really are only two choices today: the canister and the upright. Sure there are many other more specialized cleaners, but these two are the only options for ridding your ENTIRE home of dirt and dust on a regular basis. You not only want to remove the things you can see but you also want to remove those allergens you cannot including pollen, dust mites, and even pet hair dander. In the United States the type chosen more often is the upright, and for good reason. They typically have very powerful motors for pulling embedded dirt out of the carpet’s fibers. While they do come with a rotating brush roll to agitate the carpeting, many of the mid to high end models allow you to turn that off for use on hard floors. This gives you the ability to move from room to room with the ease of pushing a simple switch. As far as suction goes, today’s upright vacuums are quite adequately equipped. Some of the more expensive brands like Dyson are designed to virtually eliminate the clogging issues that plagued prior generations as well. 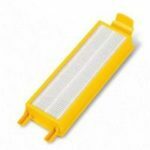 With basic periodic maintenance (washing HEPA filters, cleaning the brush roll, …) you can use them for many years. You will typically find a couple on-board attachments for cleaning furniture, curtains, and other hard to reach places. While uprights of years past were mostly dedicated rug cleaning machines, today’s models are built to handle just about any surface around your home. The canister vacuum cleaner is very different in design to its’ counterpart. It has a large base that contains the motor, bag or dirt collection chamber, and various attachments. This larger part will roll around on wheels and have a suction hose coming out of the side or top. At the end of this hose is where any number of cleaning attachments can go. The power head attachment, or power nozzle as it is sometimes called, will have a revolving brush that works similar to that on the upright. Some canisters will even employ a separate electric motor to spin the brush. This gives the maximum amount of suction when dealing with high pile or thicker carpets. As you can imagine this functionality is found on the more expensive models but this might be an unnecessary expense if your home has mostly hard floors. In that case you would be fine with a straight suction canister that utilizes a non-rotating brush attachment. Canister vacuum cleaners are known for their versatility because they can adapt to many different situations. Like we mentioned above, some of them have just as much power as large uprights so they can pull embedded dust out of your rugs. And for cleaning that delicate hardwood floor the spinning brush can be turned off and the power dialed way back. Most of the better known brands like Miele have soft wheels and bumpers on the side so there is almost no chance of damaging the items around your household as well. Which Is The Best Vacuum For Your Home? 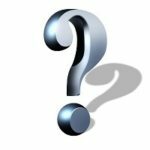 Before we can answer that you should carefully consider what surfaces you will mostly use it on. Does the house have a lot of wall to wall carpeting or more hard floors like tile, wood, laminate, and vinyl? Do you have many area rugs or lower piled carpets that are more easily damaged by high spinning brush rolls? An upright would favor a home with more carpeting but a canister would be an ideal choice for those with smoother floors throughout. And for those area rugs your best choice is one where you can turn the brush roll off as it tends to roll up anything that is not secured down. Also consider how many stairs you traverse on a daily basis. If the answer is none then the weight of the machine won’t be an issue but if you have multiple flights of stairs then it certainly makes sense to look for a lighter model. The good news is that since the technology has been advancing so rapidly in the industry, many lightweight materials are used in construction that were previously unavailable. Most new vacuums are easy for just about anyone to pickup and carry around. HEPA filtration is an important feature that is standard on most full sized vacuum cleaners today. This specialty type of filter will remove those microscopic allergens that you cannot see including dust mites, pet dander, and mold spores. Even though you cannot see these organisms you can be assured that they are present in every house, to a certain degree. These specialty filters eliminate them before the air is pushed back into your home, resulting in a healthier environment for you and your family. This is especially important for those families with asthma or allergy sufferers. The Asthma and Allergy Foundation of America talks about the importance of using a HEPA filter to remove allergens from the air if you have one or more pets. 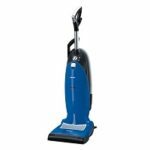 The price range of today’s full sized vacuums is very wide with some models available for under $100 and several going for more than $1000. While you might not need all the cleaning power of a high-end offering, it is recommended to spend a little more on a higher quality brand if you have room in your budget and the reasoning is pretty simple. The lower-end brands really aren’t designed to last for more than a year or so, especially if you have a larger home. They will clean fine at first but will quickly diminish in overall performance as the machine clogs and the parts wear down. The internal parts are constructed of cheap plastic which keeps the cost down. You will actually save money in the long run if you buy a better built cleaner that will last for many years. You don’t need to spend a small fortune either. Some of our most recommended (and popular) brands include Dyson, Oreck, SEBO, Hoover, and Miele. The choice of bagged or bagless will affect your budget as well since you may end up having to purchase replacement bags on a regular basis. However, the modern bag is self closing which means it will seal up tight as soon as it is removed from the vacuum. This gives almost no chance for dirt or dust to escape. One thing you will undoubtedly notice with bagless models is some dust will escape when the chamber is emptied into the garbage. It’s also good to purchase a brand that will stand behind their products with a multi year warranty. This says a lot about the company if they are confident enough to offer this. You will likewise find that the lower quality brands simply will not offer anything more than a very basic warranty on their models. Hopefully this gives you a head start in helping you find the best vacuum for whatever cleaning needs you may have. Take a look around our site at the different categories and specific model reviews for more in depth analysis and recommendations.